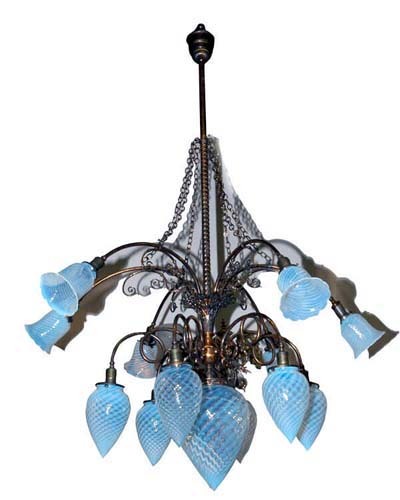 This is a most elaborate turn of the century fixture, It has 2 levels, each with 6 globes, the 6 blue swirl electric globes on the top & the 6 blue swirl bullet globes on the bottom with a huge blue swirl bullet globe in the center of the bottom, plus there are 4 single arm sconces that accompany this fixture with globes. 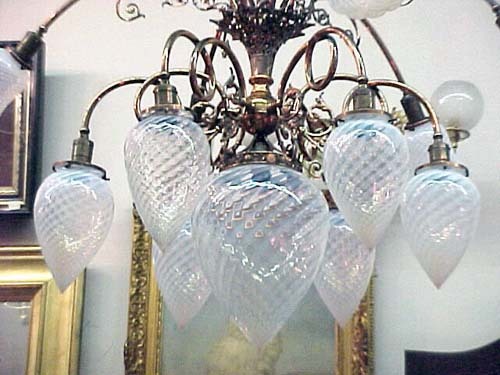 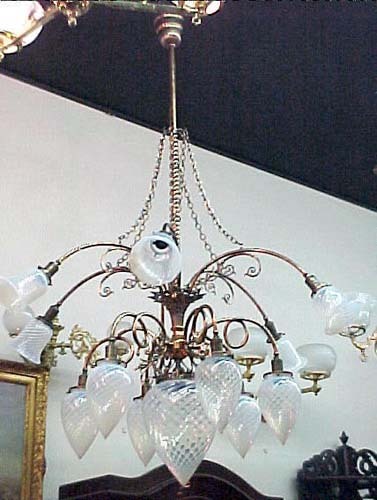 This fixture must have come from some stately turn of the century mansion. 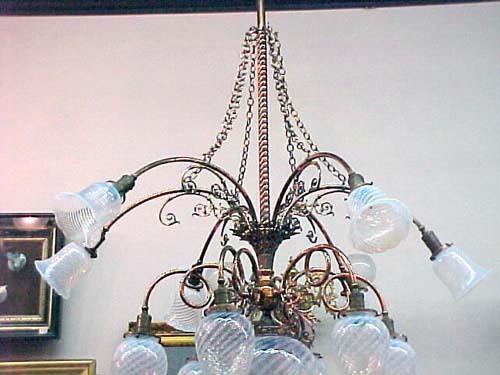 It maintains a warm brass finish almost copper in color, the wiring is original as are the 13 globes.